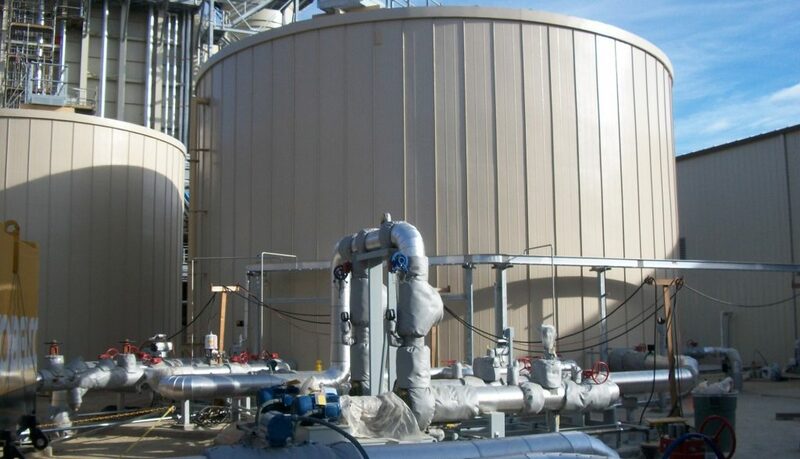 Gas fired Power Plant | 3 Flat Bolted Ground Storage Tanks | RIDGLOK® Vertical Standing Seam Insulated Panel System installed for 3 flat bolted ground storage tanks, located in Payette, ID. The gas fired power plant storage tanks consisted of (1) 32.68’ diameter x 26.48 high, (1) 41.59’ diameter x 26.48’ high and (1) 59.41’ diameter x 50.69’ high flat bolted tanks, one with a spiral staircase. 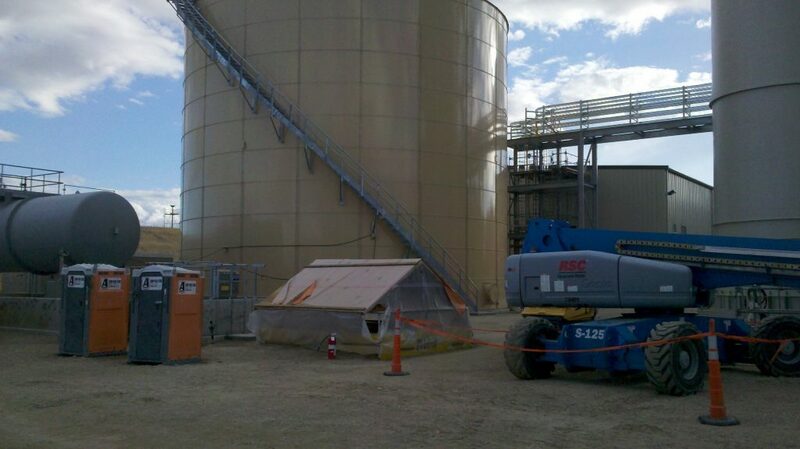 The storage tank insulation project was completed in December, 2011. The RIDGLOK® Vertical Standing Seam Insulated Panel System consisted of 0.032 stucco-embossed aluminum metal jacketing, in Fawn color, laminated to 2” polyisocyanurate insulation board (R-value of 13.1), using a straight pan roof system. 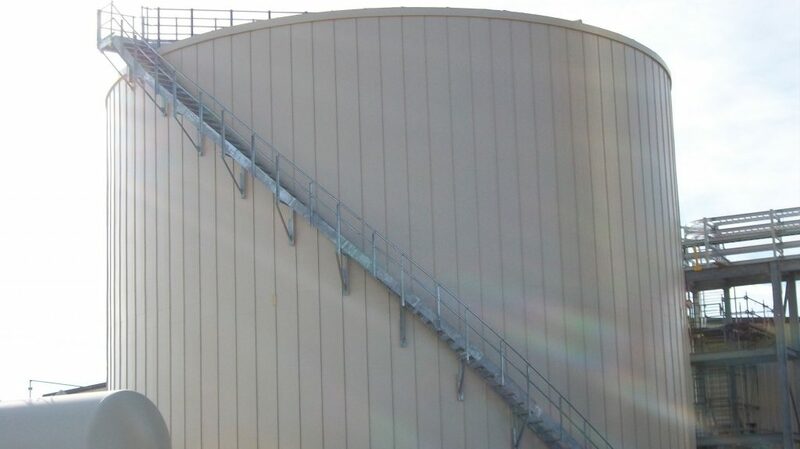 There was restricted access around tanks due to multiple piping structures.